Make these turkey croquettes for a post-holiday meal or make smaller ones and serve as appetizers. Freeze these croquettes before breading, then complete with coating ingredients and instructions after thawing. 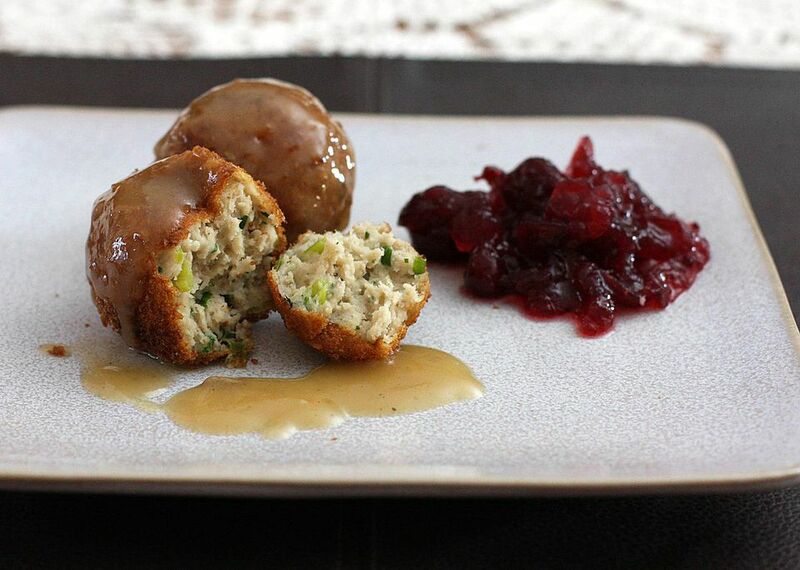 These are delicious served with leftover or store-bought gravy and cranberry sauce. In a saucepan over medium heat, melt butter. Add green onions and cook, stirring, for 1 minute. Add the flour and stir until well blended. Stir in chicken broth and milk. Continue cooking, stirring, for 2 minutes. Add salt, to taste. Combine with the turkey mixture, blending well. Cover and refrigerate until thoroughly chilled, about 1 to 2 hours. Put the 1/2 cup of flour on a plate. Beat eggs in a bowl with 1 tablespoon of water. Put the finely ground bread crumbs in another bowl. Shape croquette mixture into 1 1/2-inch balls (a little smaller if you're making appetizers). Roll gently in the flour to coat, then in the egg until coated. Coat with the breadcrumbs. Place on a waxed paper or foil-lined cookie sheet. Repeat with remaining turkey mixture and crumbs. Heat oil to about 360 F. Fry the croquettes in small batches for about 1 1/2 to 2 minutes, depending on size, or until golden brown. Drain on paper towels. Serve with hot turkey gravy and cranberry sauce as part of a post-holiday meal or as appetizers for guests.